General Info: The house features a large eat-in kitchen, comfortable and cozy living room, four bedrooms, 2 full bathrooms, and a large covered front porch. It also has central heating and cooling, cable television, and Wifi internet access. Please visit our Photo Gallery for pictures of the interior of the house. Suitability: Long-term renters are welcome. Pets are considered. Non-Smoking only. Not wheelchair accessible. Perfect for vacations, or a corporate stay. Kitchen: The home features a large eat-in kitchen and it is fully equipped with: coffee maker, dishes, pots and pans, utensils, microwave, stove/oven, toaster, and refrigerator. Living Room: This room is large and cozy and features a large flat screen television. Bedroom1: Main Level. Queen size bed. Bedroom 2: Upper Level. Queen size bed. Bedroom 3: Upper Level. Queen size bed. Bedroom 4: Upper Level. Two twin beds. Bathrooms: There are two full bathrooms. Bathroom 2: Upper Level. Features an original claw foot bathtub with shower capability. Entertainment: Cable TV, DVD player in living room, Wifi access, board games. Porch: Weather permitting, the very large, covered front porch is very inviting! Location: This home is located in the historic City of Monongahela which is 17.5 miles southeast of Pittsburgh. It is within walking distance of a grocery store, pharmacy, coffee shop, many churches, library, banks/ATM machines, a post office, Chess Park, the Monongahela Aquatorium (located on the Monongahela River), Historical Society Museum, hardware store, restaurants, bars, antique stores, and other retail shops. Fishing at the Aquatorium, self-guided walking tour of Monongahela's historical buildings, summer concerts at the Aquatorium, and antiquing are some of the favorite local activities. About Monongahela: The City of Monongahela is the 2nd smallest city in the state of Pennsylvania and was incorporated as such in 1837. The "City" was known prior as Parkison's Ferry, and then Williamsport, and the settlement itself dates back to 1769! It was integral to the Whiskey Rebellion, and took part in the Underground Railroad. It is the oldest settlement in the Monongahela Valley. Monongahela has always been (and remains) a bedroom community; there has never been industry despite its river location. If you're looking for a quaint little city, you've found it! Population approximately 4,500 persons at the last census. Mingo Creek County Park (Washington County Park) is a ten minute drive by car and features 2600+ acres that include paved walking/bicycle trails, playgrounds and covered bridges. There are also many wooded hiking trails, creeks, ponds, and wildlife. Downtown Pittsburgh is an hour away by car. Morgantown West Virginia is a 40 minute drive. Frank Lloyd Wright's Fallingwater is less than hour away by car. You may go to our Reservations Page to inquire about availability. 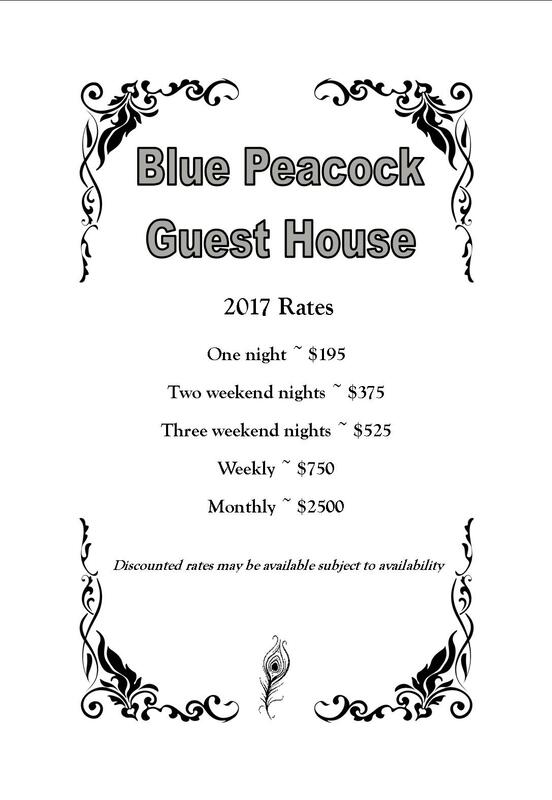 2017 Pricing can be found here.